Told over four seasons, Jeune et Jolie (18) tells the story of a 17-year-old French girl (Isabelle) who finds herself embroiled in the world of prostitution. What’s it about? Isabelle (Marine Vacht) is a seemingly normal teenager who, despite being from a loving and wealthy family, inexplicably begins working as a prostitute. Director François Ozon makes beautiful use of the passing seasons in the depiction of Isabelle’s sexual awakening as we track everything from her loss of virginity in the summer to her gritty, dirty encounters with various older clients throughout winter. Isabelle appears to be emotionally cut off, the only hint of tenderness coming from her relationship with her younger brother Victor (Fantin Ravat) and one of her clients Georges (Johan Leysen). However, when the unimaginable happens, Isabelle’s secret life won’t be kept secret for much longer. Verdict: Aesthetically, Jeune et Jolie is absolutely beautiful; Ozon’s use of the seasons delicately separates the film into bite-size sections, each providing the essential character and plot development needed to avoid the film stagnating. 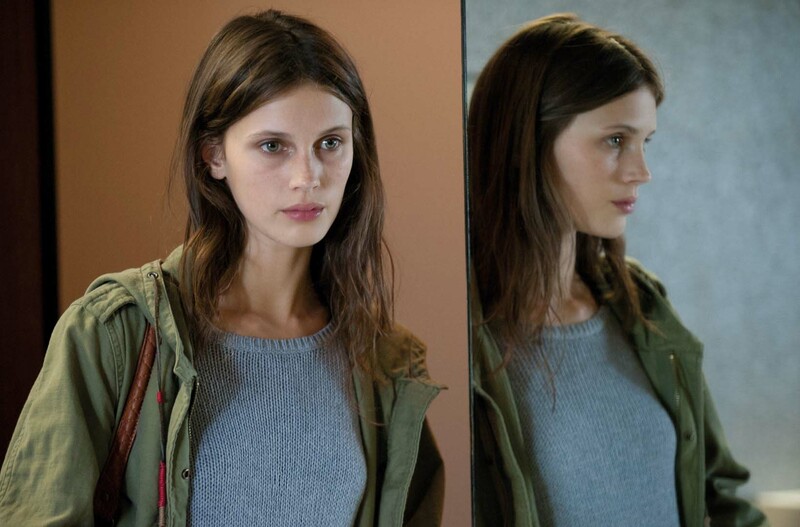 Marine Vacht gives a poignant performance as our troubled protagonist and although the entire cast is strong, it is Vacht who carries the film, an impressive feat considering this is the former model’s first lead role in a feature. The prostitution scenes are gritty. Although the money is high-end, Isabelle’s encounters leave nothing to be desired. While the Parisian aesthetics add some sparkle and beauty to her life, Isabelle herself seems tainted, a point reinforced by her obsession with showering. Although at times this can be uncomfortable to watch, it’s a refreshing change from the usual glamorisation of prostitution found in films such as Pretty Woman and popular TV series Secret Diary of a Call Girl. Unfortunately, what Jeune et Jolie achieves in beauty and performances, it lacks in substance – the audience never discovers why Isabelle chose to be a prostitute; the most we are given is that she was bored and wanted to try something new. This, alongside Isabelle’s emotionally-dead persona, is reminiscent of a spoilt, rich kid, which makes her a rather unsympathetic and even relatively unlikeable character. Although Isabelle starts off quite endearing, as time goes on she becomes more and more frustrating as she appears to wallow in self-pity for no reason. Whilst Vacht does a brilliant job as the vacuous, emotionless brat who’s ultimately beyond saving, she hardly speaks a word throughout the film, and over time a moody silence and steely glare becomes exhausting to watch with the final ‘season’ not coming fast enough. Towards the end, Jeune et Jolie is just a little drab – the scenes with Isabelle’s clients are the strongest part of the film, but sadly they are short-lived and noticeably absent once they’ve ended. Final Words: A visually beautiful film that begins with a lot of promise. The performances are strong and Isabelle is enigmatic, but the format gradually tires and once the drama of her prostitution ends, Jeune et Jolie is left in need of a certain je ne se quoi. Jeune et Jolie (18) is released in UK cinemas on 29 November.